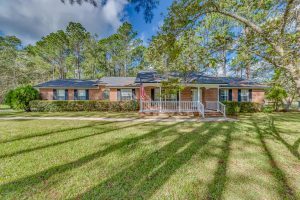 This beautiful red brick home sits on over 3 acres of land and is perfect for horse owners. Enjoy the peace of country living while still being close to the city. 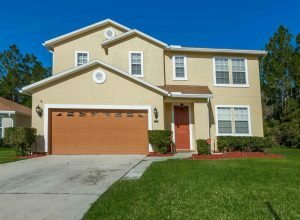 The home was recently updated, with brand new kitchen tile, dishwasher, stove, microwave, and updated bathrooms. kick back and enjoy the Florida weather in the screened in patio over looking the back yard. A new roof and water softener were in installed in 2017, and the septic tank was serviced as well. Desirable family house in Old Ortega where neighbors socialize together and children play. Very large corner lot with two patios and private rear yard full of entertaining potential! ENORMOUS Master suite retreat addition and renovated master bathroom. Master bathroom has a white marble topped vanity, elegant marble and tile flooring, a huge shower with rain shower heads and a built in bench! The master retreat includes a large walk-in closet rarely found in homes of this era. Built-in shelves frame the open dining/living room area which can be further opened to include an expanded kitchen. So much potential! Needs new family to give TLC to this great property. 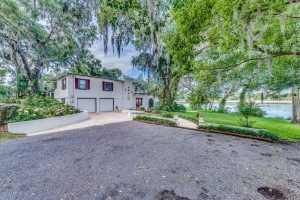 This is your chance to live life on the St. Johns River with a jaw-dropping view, huge double lot and incredibly spacious screened in pool/deck for a very affordable price! A very short boat ride to downtown Jacksonville as well as the ocean! 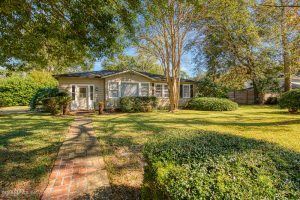 The massive lot, large moss-covered oak trees and quiet neighborhood provide a tranquil, eclectic feeling. The 3 bedroom, 2.5 bathroom home offers multiple views of the river. There is a new dock with electric boat lift. There is also a detached, double-door metal garage – perfect for boats, motorcycles, cars or storage. 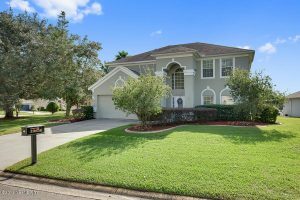 If you like to entertain friends and live the good life on the St. Johns River, this home is your model!